For a long time, weather control was merely the stuff of Greek myths, super powers, or science fiction novels. But experimentation with altering weather and climate in the academic realm has been explored for nearly two hundred years,, with increasingly — and some might say frighteningly — reactive results. Beyond scholarly curiosity about the human ability to manipulate our immediate environment, climate control has more recently been considered as a possible strategy to combat the effects of global climate change. The methods of large-scale manipulation of natural climate processes, more commonly known as geoengineering, are seen by some as a catch-all solution for what now seems to be an irreversible progression towards potentially catastrophic changes in the global climate. While a technological fix is tempting, the political complexities and potential ramifications, political and environmental, behind implementing such an unpredictable global strategy complicate, if not completely eliminate, the possibility of employing geoengineering technologies. The 1960’s saw the introduction of climate control into military and political decision making in the United States, with the Science Advisory Committee to President Johnson raising the issue of “deliberately bringing about countervailing climatic changes,” such as “raising the albedo, or reflectivity, of the Earth.” Only a few years later, the United States participated in the first known example of weather manipulation as part of military strategy when the U.S. Air Force carried out a cloud-seeding mission (adding particles to clouds to increase or instigate precipitation) over Vietnam, Laos, and Cambodia in order to hinder the progress of North Vietnamese troops. This action prompted the United Nations to approve the Environmental Modification Convention, banning the manipulation of weather patterns for hostile or military purposes. In decades since, as public and scientific knowledge about the near-inevitability of climate change has expanded, proposals for large-scale action have come from Nobel Laureates and Pentagon officials alike. Potential strategies include the injection of nearly 1 million tons of sulfate aerosols into the atmosphere in order to dull the rays of the sun, ‘fertilizing’ the ocean with carbon-absorbing algal blooms, and establishing a massive field of reflective mirrors in orbit around earth to reflect the sun’s light away from the planet’s surface. Today, some scientists see geoengineering as our only way out of a now-irreversible movement towards potentially dangerous after-effects of global climate change. Those in this school of thought also tend to support more minor and locally controlled methods, such as using cloud seeding to mitigate drought in a certain area (though such experiments in the past have had limited success).The movement towards geoengineering, unfortunately, suffers from techno-centric tunnel vision with regards to its political challenges, and this will ultimately be its downfall. 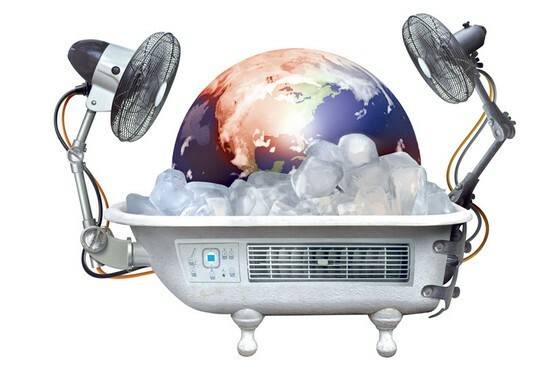 Geo-technologies are specifically designed to target one aspect of climate change (reducing earth’s temperature) but neglect to account for the interconnectedness of the global environment. The environmental ripple effect of implementing these strategies is unpredictable; even small-scale ecosystems are far too complex to be accurately modeled, let alone the entire global climate. If the impracticality and potential environmental hazards posed by geoengineering weren’t enough to dissuade us, we must take another step backward and question the legislative process that goes into implementing strategies that, by definition, impact the entire world: which country’s hand gets to rest on the global thermostat? One of many complicating factors in the struggle to regulate and combat the effects of global climate change is the fact that some countries actually stand to benefit from the shifting temperatures. Many countries far north of the equator are beginning to see previously desolate, frozen territories slowly thaw into arable land with the potential for mineral and oil extraction. Russia, which has expectantly laid claim to Arctic territories in the event that they melt (thus increasing access to underwater oil reserves), has also articulated the ways in which their agricultural society could benefit from climate change. Though still unlikely, attempts by the United States to turn the global temperature back down have the potential to re-ignite conflict between the United States and Russia, bringing a brand new meaning to the idea of a “cold” war.This disconnect about which countries benefit from climate change naturally ties into the debate about who stands to directly benefit from climate control strategies. The vast majority of the scientific community working on Geoengineering technologies consists of researchers from Western Europe and North America. The homogeneity of this “geoclique”, while not intentionally discriminatory, perpetuates the disenfranchisement of many international communities in the ongoing conversation about climate management. Not only is a majority of the world’s population not representatively engaged in the debate about an issue that unquestionably concerns the entire world, but also the structure of that debate perpetuates existing international tensions about mitigating and addressing the issues presented by climate change. In addition to having different economic and political priorities, communities around the world have a wide variety of ethical and moral values, some of which directly conflict with the idea of climate manipulation as a whole. Neglecting to include these absent voices from the beginning, particularly the voices of indigenous communities and less politically powerful nations in the global south, perpetuates environmental/climate racism (the marginalization or direct endangerment of minority communities with regards to environmental hazards/issues) on a global scale. There’s no denying that geoengineering is an exciting frontier in climate science – humanity’s exercise of ultimate control over the power of nature via space mirrors or aerosol artillery is an enticing taste of the futuristic possibilities ahead. It also provides a comforting prospect to believe in, especially when bombarded with the catastrophic imagery of intensifying natural disasters, heat waves, and sea level rise. But the sweeping solutions that geoengineering promises are unpredictable and ungovernable; their development and implementation are politically dangerous and their rippling aftereffects could cause more environmental upheaval than the climate change they were designed to mitigate. Our international political community is not nearly united enough to make such a universal step towards techno-centrism, nor is it sufficiently representative of the global population that will inevitably be effected. Geoengineering is not our climate change safety net — we are far more likely to get tangled in the webbing than we are to be saved.